Bruce C Haas has been a partner at Fitzpatrick, Cella, Harper & Scinto since 1989 and focuses his practice on complex patent litigation. Mr Haas has extensive courtroom experience and has served as lead trial counsel in patent infringement litigations involving pharmaceuticals and mechanical devices. He is known for his hard work and practical advice (IAM Patent 1000 2016) and for providing “practical solutions to difficult problems” (Legal 500 2013), being “outstanding strategically and tactically”, having a “good understanding of business and legal considerations relative to the dispute he is handling” and being “a good communicator and extraordinarily responsive” (US News – Best Lawyers 2010-2011). Mr Haas has broad experience in contested patent office proceedings, including inter partes review and post-grant review proceedings, patent evaluations and opinion work. 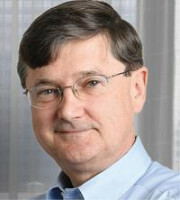 Mr Haas has been managing partner in both the firm’s New York and Washington DC offices. “Outstanding IP litigator” (LMG Life Sciences 2017). “Bruce is very customer oriented and willing to work at any hour of the day. He provides practical advice on projects that require immediate attention. He is a long-range strategic thinker who can map out how a case should be handled from day one, but is also great at adapting when circumstances change” (the IAM Patent 1000 2016). [He provides] “practical solutions to difficult problems” (Legal 500 2013). “Bruce Haas is outstanding strategically and tactically. He has good understanding of business and legal considerations relative to the dispute he is handling. He is a good communicator and extraordinarily responsive” (US News – Best Lawyers 2010-2011).